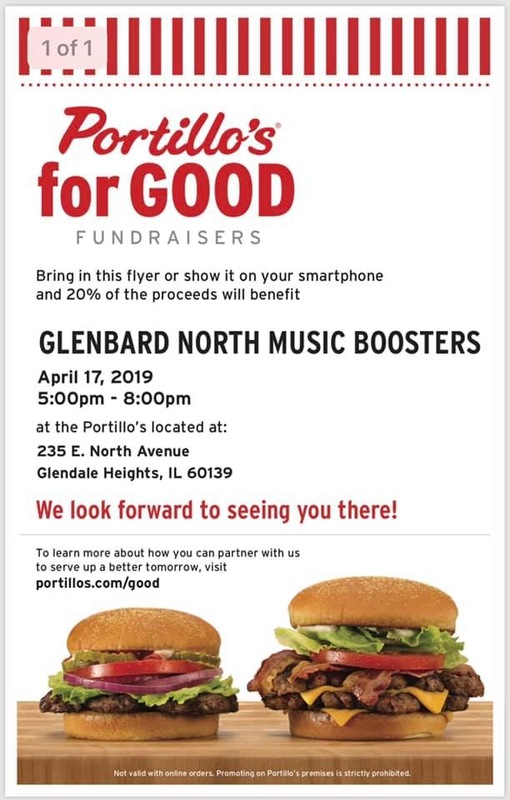 Please join us at Portillo’s in Glendale Heights on April 17th between 5-8 PM for a fundraiser! Come on in and enjoy a great meal and help our school raise money! Please join us at Culver’s of Carol Stream on March 12th between 5 and 8 PM for a fundraiser! Culver’s will donate a percent of ALL SALES during those three hours to our organization. The more sales, the higher the percentage, so every bit counts! Come on in and enjoy a great meal and help our School raise money! No flyer necessary; all sales count. Good with Dine in or Drive thru orders, 5PM to 8 PM. Our next Family Night is Tuesday, January 15th at Village Tavern & Grill. You will need to print out the flyer attached and bring it when you visit. 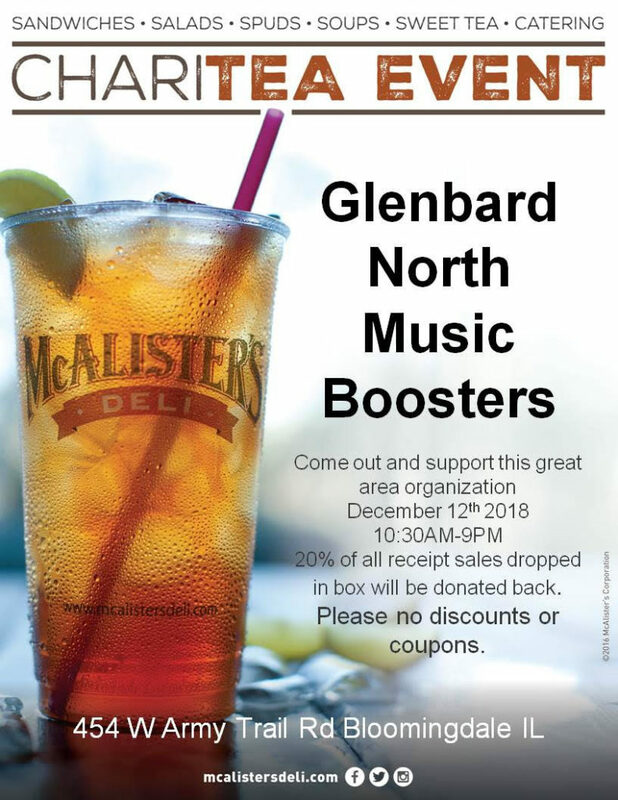 If you can not make the event you can purchase gift cards online anytime during the day of the event and the Music Boosters will get a 20% donation of the purchase. This event will last all day, so you can come for lunch, dinner, or both. Our next Music Boosters meeting is Tuesday January 8th at 6:30pm in the Band Room. Enter your email address to subscribe to gbnmusic.org and receive notifications of new posts by email. Copyright © 2011 Music Boosters of Glenbard North. All rights reserved.